We have a winnah!, originally uploaded by Erin *~*~*. 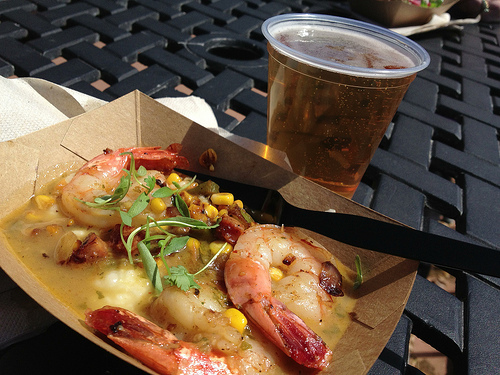 The shrimp and grits at EPCOT’s Florida Fresh kiosk gets three thumbs up (thumbs not pictured). We’re moving on to Mexico.